The instruments of the late 17th century - especially the woodwind instruments - indicate a changing sound ideal. Shawms and in parts also recorders are replaced by oboes and transverse flutes, both of which allow for more nuances while playing. The precious oboe with ivory parts, made by the Parisian instrument maker Dupuis, still has the fontanelle in common with the shawm: an ornately designed case to protect the key mechanism. The precious ivory parts of the instrument indicate that it was played in the French court orchestra. A transverse flute of our museum was made by the famous Hotteterre family, whose members worked at the French court in the late 17th and the 18th century. They also were involved in the development of the oboe. In 1707 Jacques-Martin Hotteterre published his famous flute tutor and he had himself depicted on the cover with a transverse flute that is the equivalent of the instrument from our collection. Shortly after 1700, the first clarinet was developed in the workshop of Jacob Denner in Nuremberg. Different from an oboe, flute or bassoon, the clarinet was not so much a further development of an existing instrument but more of a new invention. 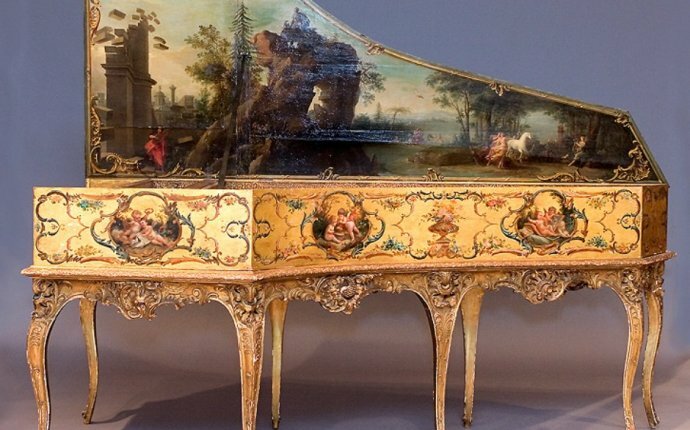 With the transverse flute, the keys are uncovered, thus encouraging instrument makers to ornament them: for example, the French instrument maker Dumont embellished his instrument, probably made around 1720, with a filigree floral motif.